Each luxury home neighborhood across the country has its own unique atmosphere. The elements that set The Residences at the Ritz-Carlton, Dove Mountain apart from the rest include the desert climate as well as a multitude of activities such as hiking, biking, horseback riding and more. The Tucson luxury real estate market, particularly properties at The Residences, benefit from the beautiful year-round sunny weather. Families enjoy outdoor fun in Arizona’s high desert climate. The vistas are inspiring, the air is clear and dry, and the temperature is surprisingly mild because of the high altitude and low humidity. Dove Mountain is a peaceful desert retreat that offers amazing landscapes, thousands of giant saguaro and other local flora and fauna as well as 6,200 acres of natural open space within The Residences at The Ritz-Carlton. Luxury Real Estate Professionals voiced their satisfaction and confidence in the market this month at the Who’s Who in Luxury Real Estate 2012 Spring Retreat in New Orleans. One of the panelists, Diane Turton, said she saw “skyrocketing success in 2010, with a record $9.9 million home sale in the New Jersey show Spring Lake, N.J. In 2011, her staff of more than 300 agents helped increase the firm’s numbers by 40 percent.” These luxury agents have a strong pulse on the market including the Tucson luxury real estate market and their collective confidence is a telling sign that the market is in a strong healthy state. Potential buyers are sure to be blown away when real estate agents show the luxury amenities that are available at The Residences Dove Mountain. The lucky homeowners at The Residences indulge themselves at The Ritz-Carlton, Dove Mountain hotel and spa. The hotel and spa offers everything expected from The Ritz-Carlton experience — three dining venues, from casual poolside to elegant fine dining with spectacular desert views. Two ballrooms are available to homeowners for weddings and other social events, as well as many terraces and lawns perfect for gatherings and celebrations. The Ritz-Carlton has marvelous catering and planning staff to assure that all events are flawless from conception to execution. At the spa, Tucson luxury real estate homeowners revitalize with a variety of health and beauty services in a tranquil place of inspiration and relaxation. Plus, it is still possible to earn Charter Membership to The Ritz-Carlton Golf Club – this special offer was available to the first 25 buyers but only 8 remain! At The Residences at The Ritz-Carlton, Dove Mountain, there are eight impeccable floor plans to suit every need and lifestyle. Homeowners use these plans as a base and then customize their home to suit their specific needs and desires. With the expertise of the design staff, each home emerges as a distinctive reflection of each family and their lifestyle. Luxury homes in The Residences range from 1,600 to 5,460 square feet with prices beginning in the high $600s. 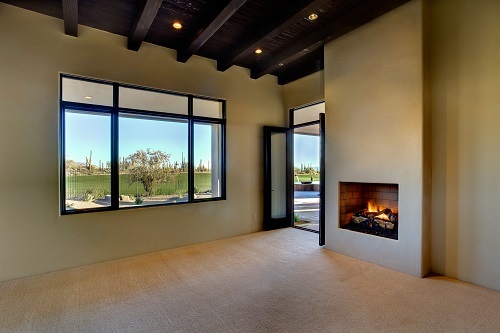 This Tucson luxury real estate is one-of-a-kind and will sell out quickly. Contact us today to learn more about this elegant oasis in the desert. As a Tucson luxury real estate owner at The Residences at The Ritz-Carlton®, Dove Mountain, you can rest assured that the views, peacefulness and natural beauty are yours forever. Your story is just beginning.